So, you have put in all your best efforts into building an out-of-the-box Node.js application? If you’re contented with how the app has come up, it’s time to gear up for releasing it for the public. Well, numerous solutions can be chosen for hosting your Node.js application in the most refined manner. Through this post, I’ll be introducing you to five of the most recommended PaaS solutions which have made Node.js app hosting quite simple and efficient. Why choose PaaS (Platform As A Service) for hosting NodeJS applications? The very first reason behind choosing PaaS for NodeJS hosting is that the apps built using NodeJS can’t run on a shared hosting system. This makes it tedious for a majority of web hosting service providers to host the NodeJS application. The second well recognized reason behind using PaaS for NodeJS app hosting is the affordable budget attached to the same. Unlike the hefty budget involved with hosting a NodeJS application by choosing a vps or cloud hosting or a dedicated server; selecting an appropriate PaaS solution will work in your favor. 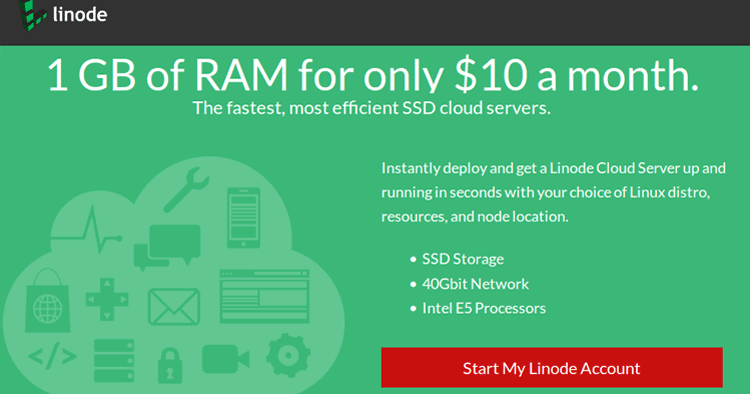 Linode is an excellent PaaS solution offering you web hosting service packages starting from $0.015/hr or $10/month. After purchasing a Linode hosting package, all you need to do is simply choose a distro, a specific data center, and finally deploy your NodeJS application. With over 250,000 customers on-board, Linode offers you servers on demand. Launched in the month of June 2003, Linode was founded by Christopher S.Aker. Although the initial development of this PaaS solution took about 6 months, it actually took the cloud hosting industry by wave and continues to remain the leader of web hosting services available for NodeJS applications. As yet another brilliant cloud hosting solution for Node.js applications, Modulus offers some of the finest features including: Custom domains, Websockets support, integrated MongoDB database, multiple node versions, free custom SSL certificates and many more. Additionally, Modulus also comes with a CLI tool that allows you yo manage your Node.js applications in the best possible way. As compared to a majority of web hosting service providers, Modulus doesn’t have a tier based pricing, instead you are being charged on the basis of amount of service that you use. As a remarkable PaaS solution for NodeJS applications, dotCloud allows you to make your apps available for the public at as low as $4.32/month. The greatest asset of dotCloud is that you need to pay only for the service you choose to avail. Some of the interesting features of dotCloud include: Loading npm dependencies using package.json, easy database integration, CLI, easy app deployment, websocket support and many more. DotCloud offers you freedom from selecting a server from a crowd of servers. Plus, the built-in load balancing and monitoring feature allows you to run your app on a 24/7 basis. DotCloud is a remarkable platform which was launched in the year 2011 and serves as a leading multi-language Platform as a Service. It simplifies application development by allowing developers to focus on code with everything else(code building, scaling, load-balancing and deployment) being handled by the platform itself. Offering SSD cloud hosting at a marginal price of $5, Digital Ocean allows you to buy a VPS for getting started with hosting your NodeJS applications. With Digital Ocean, you are being offered a web-based console which allows you to manage your server in an absolutely brilliant way. Additionally, you can take full advantage of SSH for working with your VPS directing from your machine. Last, but definitely not the least, Digital Ocean is backed by a large community which constantly maintains a pool of tutorials and guides on installation and configuration of this absolutely outstanding PaaS solution. A whopping 400,000 developers have already chosen to deploy their apps using Digital Ocean. You too can deploy your NodeJS app to this SSD Cloud server within just about 55 seconds. As a renowned PaaS introduced by Redhat, Openshift comes with a free web hosting plan that allows you to host up to 3 applications in a hassle-free way. The best thing about this plan is that it doesn’t come with a time limit. That means, you can use it for as long as you want. Plus, you can also opt for the free tier in order to test your application. Two popular plans available with Openshift include: Bronze and Silver. While Bronze allows you to pay as you use, the Silver plan costs you a minimal $20 base amount on a per month basis. You just need to follow some simple steps for making your Node.js application compatible with Openshift. So, that was a list of 5 top-performing PaaS solutions which serve as the most reliable options for hosting your Node.js applications. Do make a proper selection among these PaaS solutions and you can easily showcase your application in the most impressive style. 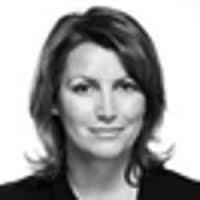 Amanda Cline is currently employed as a senior PHP developer with Xicom Technologies Ltd, and has successfully delivered varied PHP web development projects to a global clientele. You can get in touch with here via Twitter. This article completely conflates PaaS and IaaS, which include Linode and Digital Ocean.